Debt Collectors Cannot Harass You—But Who Is Considered a Debt Collector in California? It is against the law for debt collectors to harass you over a debt you may or may not even owe. You may already know this. If you have ever visited my website, you probably do know what your rights are regarding debt collection—at least I hope so! I want every Californian to be aware of their rights and to take action when those rights are violated. So, while you may know that a debt collector cannot call you at odd hours, cannot verbally abuse you, and must stop calling you if you demand that they stop, you may not know who this applies to. Can you stop your brother-in-law from harassing you over $20? Well, maybe you can, but not under this law. Original creditors. The company that gave you the loan or line of credit is the original creditor. This could be a bank, credit union, automotive creditor, or credit card company. They may attempt to collect the debt from you directly before sending it to a collection agency. Debt collection agencies. These are companies that collect debt on behalf of creditors. Creditors often don’t have the manpower or time to get people to pay debts, so they hire a debt collection agency to do it for them. In California, debt collectors do not have to be licensed, so this could be almost anyone. Attorneys who collect debt. 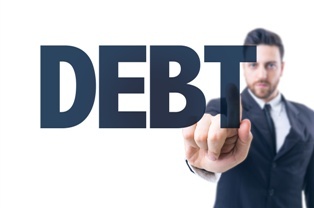 An attorney representing a creditor or debt collector may contact you about a debt. He or she is also subject to the harassment laws. Companies who make forms and tools for debt collection. It is possible these days for anyone wishing to scare a person into paying a debt to download an official-looking form letter and send it to them. However, companies making these forms are also subject to these laws and may not produce forms that look like authorizations issued by a federal or state agency. Anyone who collects consumer debt in the regular course of business. Really, except for your brother-in-law, almost any person or business that routinely contacts people about debt is subject to this law. If you are not sure if the person bugging you is breaking the law (especially if they try to tell you they are not! )—ask me! Why Do Debt Collection Laws Matter? So, you get a few calls, maybe even a threat. Can’t you just check your caller ID and stop answering the calls? Sure you can, but that will not stop a determined debt collector. When you call me, I will not only make it stop, but I will sue the debt collector for damages on your behalf. You can make them pay for harassing you, even if you do owe the debt. Contact me online or call me directly at 415.802.0137.